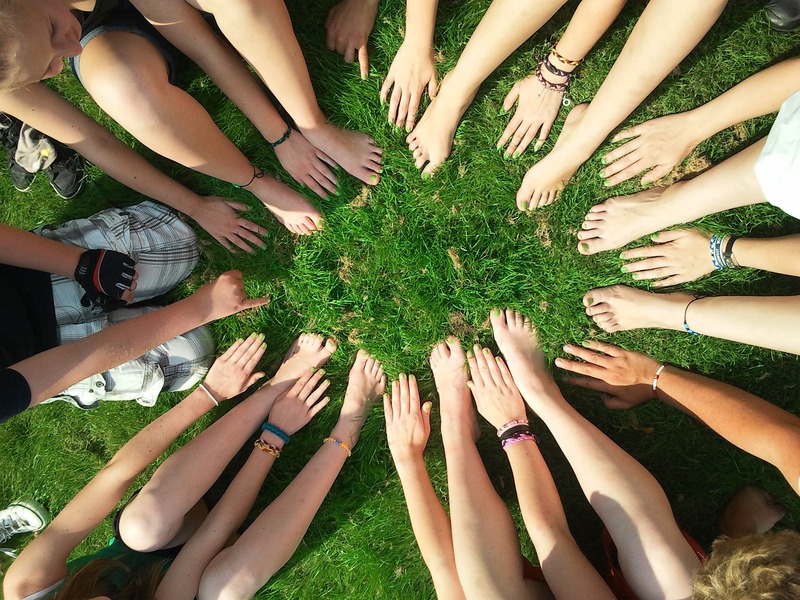 BuddyPress Registration Groups is a plugin that adds a list of groups to the registration form so that new members can be introduced and choose to join your groups. It means they don’t need to go looking for them to be instantly tied in to their preferred groups. 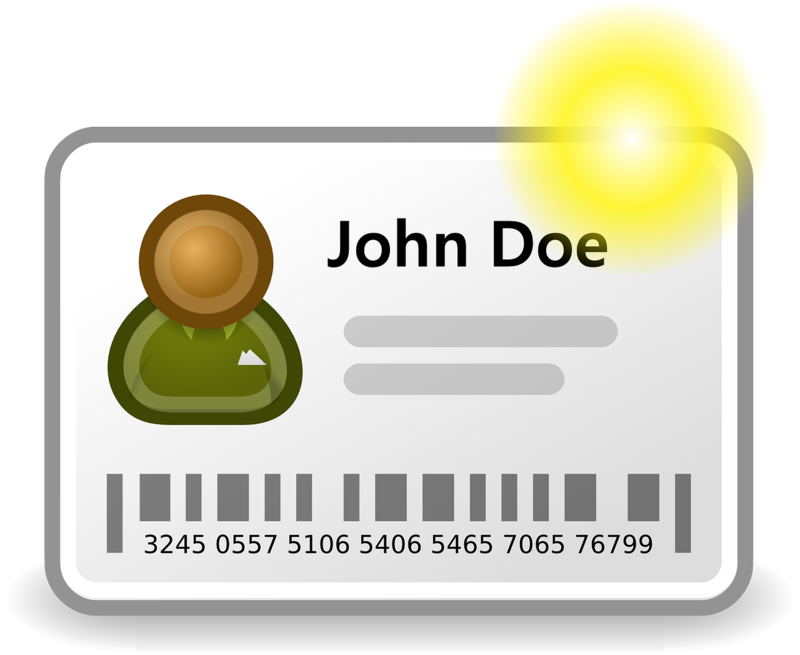 Adding this kind or form to your registration can help you to build a profile for each new member. 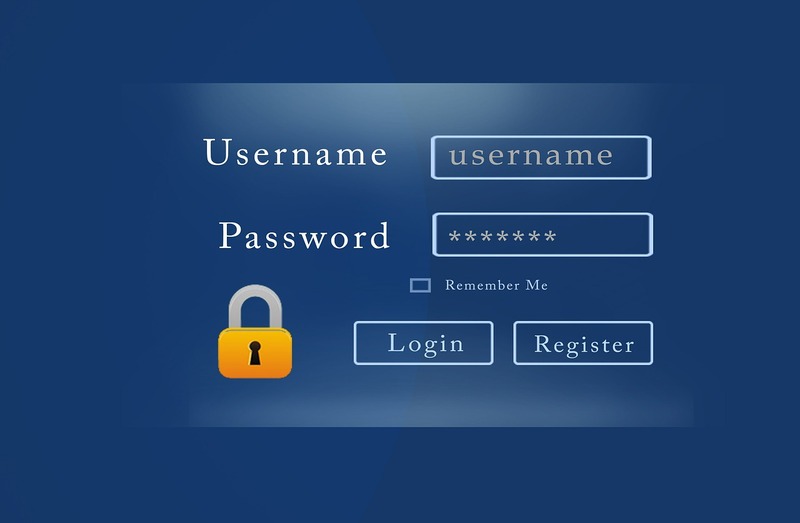 The main gotcha is showing too many groups in the registration form, creating a cumbersome form, you are able to limit the number of groups shown and the selection criteria allow you to show your top ten groups for new users to join. I think one interesting enhancement to this would be the ability to specify exactly which group to show in which order. 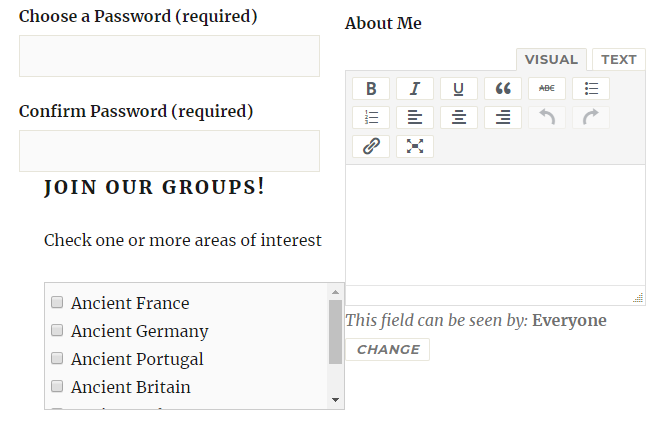 Then you could choose to actively promote specific groups, but as it is this is a very useful plugin. One aspect of this plugin is how it can help with the prevention of spammers. 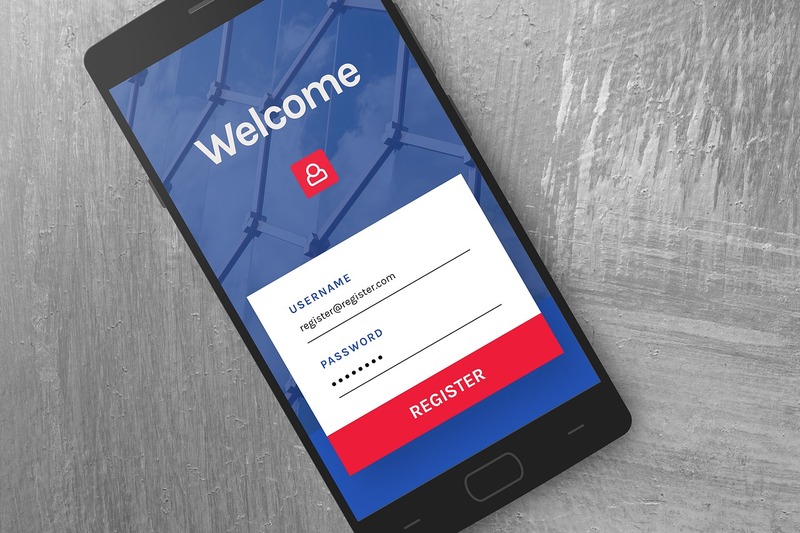 By filling out their group preferences at sign up your users are helping you paint a picture of them, which helps if you are actively moderating new members. This plugin really does help kick off site participation, I think it’s one of the most useful BuddyPress registration plugins around. 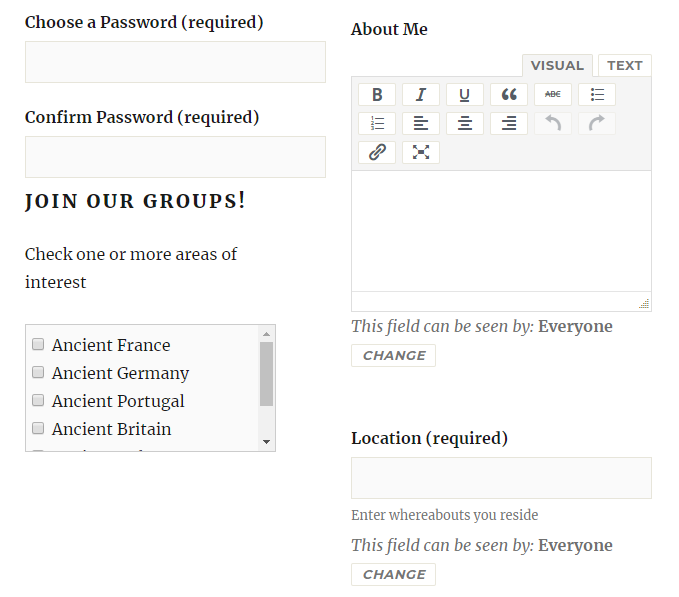 As you can see the “JOIN OUR GROUPS” text is sitting a little too close to the input box above it. The entire block is sitting to the right, instead of the left and also in my instance the group selection box is a little too wide. Obviously there’s other CSS elements that need to change to get this form looking really good, but this is just an example of what you can do. Overall I give this plugin 10 out of 10, it works really well, is stable and well maintained, it usually needs a few tweaks in CSS but so does most of WordPress! I think there is more room for development but actually I’m pretty happy with the plugin as it stands! Just installed it and it's working well. 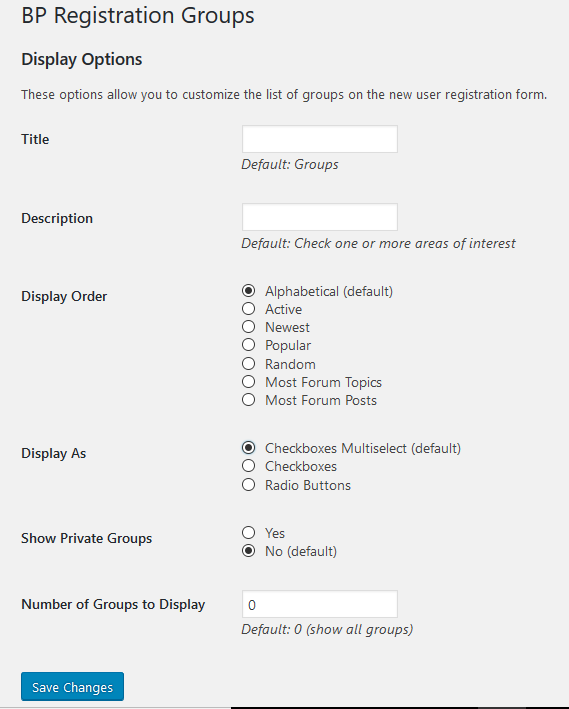 One feature request for the next update: If the admin could select the featured groups (which are not necessarily the most popular) in the plugin settings, this would make this plugin even more awesome. I was a hesitant to install as the plugin has not been updated in six months, but this is an absolutely necessary feature for my site. So far works marvelously, thanks!! !